Agree to see ka road in the evening time the cyclist is not easy, even if the two-wheeled machine and is equipped with reflectors-reflectors. Especially fraught with danger moments braking — braking road bike is relatively small. 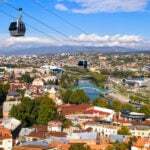 Conclusion: non-motorized transport are needed now stop the signal. We offer you two devices — one for road cars with rear brake grommet, and second, for bicycles with manual brakes (lung road and road-racing). Power source — battery 3336L, running a stop sign is relatively rare, so its enough for the whole vecenie years-the autumn season. 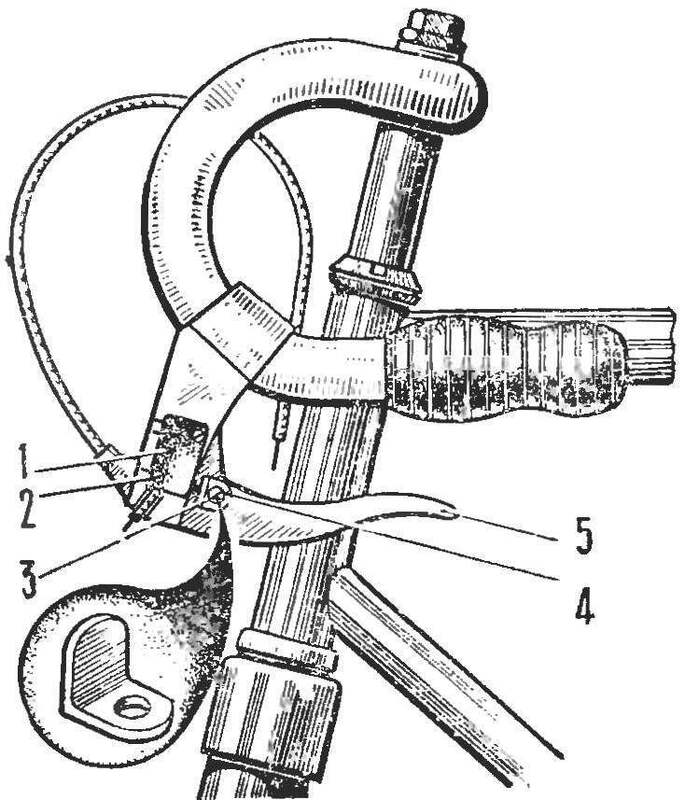 Device for brake for road bike depicted in figures 1 and 3. Its main part is the microswitch. Except it needed notched, sawed from duralumin with a thickness of 3-4 mm. the Angle of the sector (i.e. 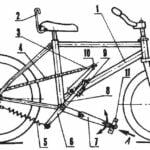 number of teeth) is determined by the free running of a pedal of a Bicycle, it should be borne in mind that the microswitch should be activated at 10-15 mm stroke circuit before the start of the braking. The sector is hinged on a steel collar, located on the right rear fork feather directly under the chain. Sitting on the axis of the spring is selected such that the sector is in a free position was oriented vertically. This is necessary for reliable capture of the sector chain when moving it in both directions. 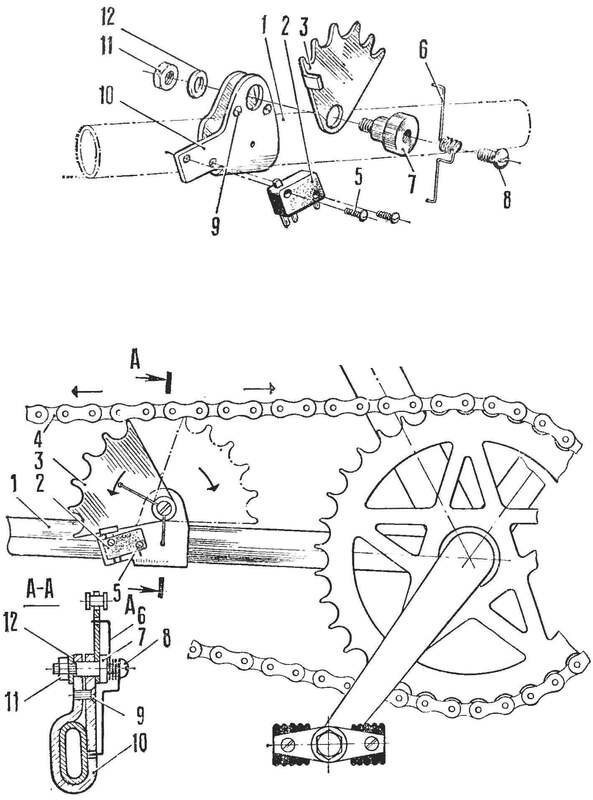 1 — frame bike, 2 — button, 3 — notched, 4 — circuit, 5 — after mounting the microswitch, 6 — return spring, 7 — axis, quadrant, 8 — vpnc — axis spring 9 — clamping screw of the clamp 10 — clamp 11 — nut 12 — washer. 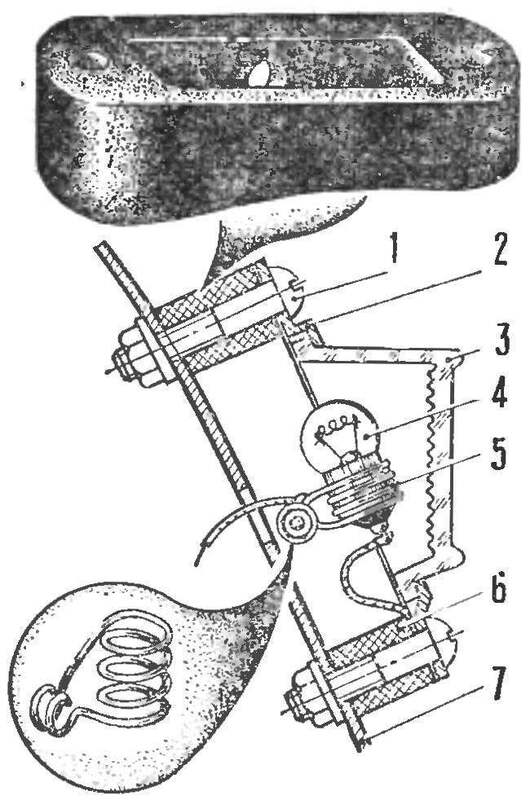 1 — the screw of fastening of a lantern, 2— clip, 3 — reflector-reflector, 4 — light bulb voltage 2.5, 5 — a home-made bullet out of copper wire, 6 — spacer (PCB), 7 — the rear mudguard of the bike. The microswitch is mounted on the same yoke, and is fixed by screws. The brake lamp is placed in a standard Bicycle reflector. Cartridge can make your own from copper wire O 1-1,5 mm the Device it is clear from figure 3. Install stop sign on a Bicycle with hand brakes much easier — switch in this case is mounted directly on the bracket of the brake lever. In this case, the terminal “terminal” should be drowned. This allows clicking on the brake lever to provide for actuation of the microswitch at the beginning of the stroke. On these bikes it is advisable to put two micro-switch (one PA each brake lever) and connect them in parallel, which will allow the brake lights to work regardless of which brake, front or rear, you slow down. Excellent location for the battery 3336L — in the tool bag.